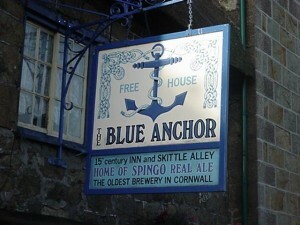 The `Blue Anchor` Inn is located at the bottom of Coinagehall Street near the Grylls Monument. 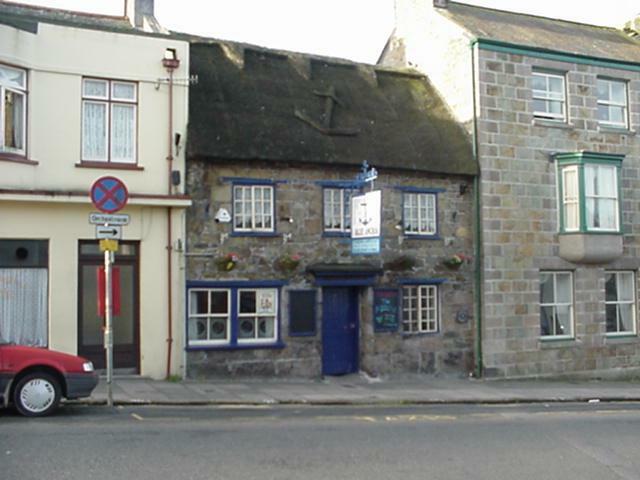 It began its life as a monk`s rest, eventually becoming a tavern sometime in the 15th Century. Renowned for its `SPINGO` ale which comes in three strengths and is brewed on the premises. The brewery is located at the back alongside the old skittle alley. In 1717 the landlord was stabbed to death after an arguement. In 1791 the then landlord, Jimmy James had his head fractured by a bayonet during an argument with two soldiers, John taylor and Ben Willoughby. 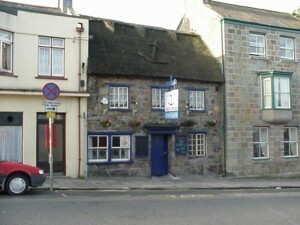 In 1828 a men fell to his death in the Inn well. In 1849 James Judd, the Landlord, hanged himself in the Skittle Alley.